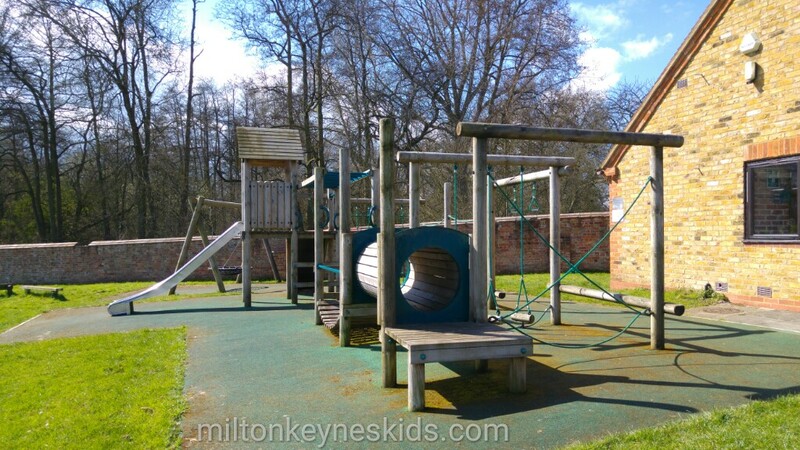 Eversholt park is a fab park that you may not stumble on until the summer. It’s hidden away next to Eversholt swimming pool. 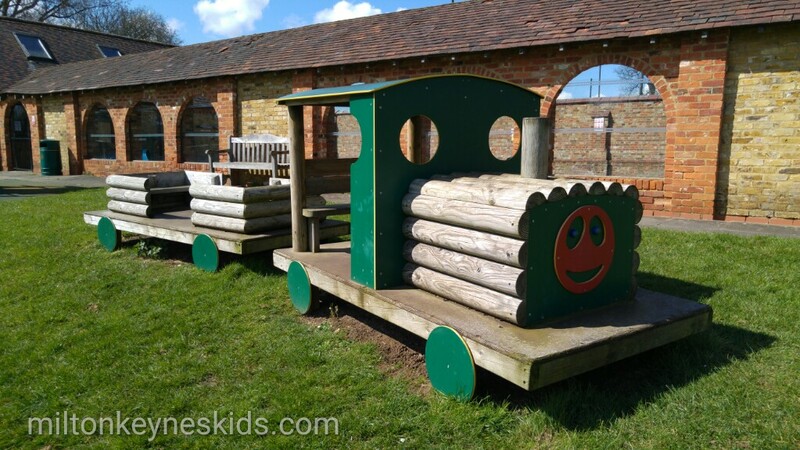 It has some really good wooden play equipment including a train. Parks with trains are always a big hit with us. This one has a driver’s seat as well as carriages for the passengers. 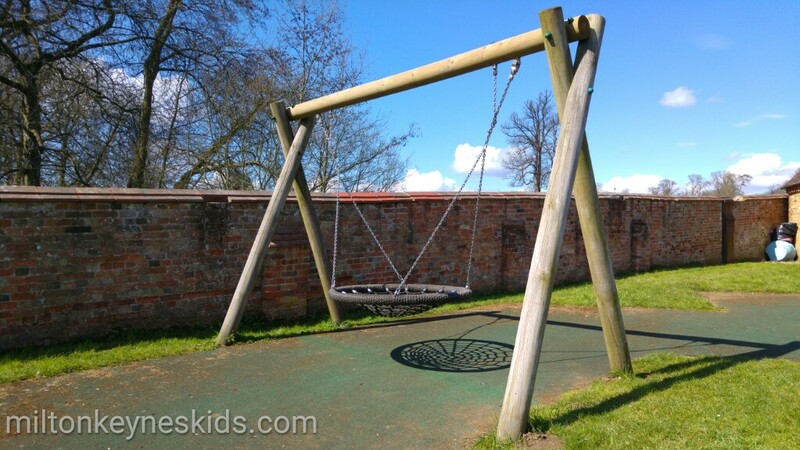 There’s a smaller climbing frame for little ones which has a slide. 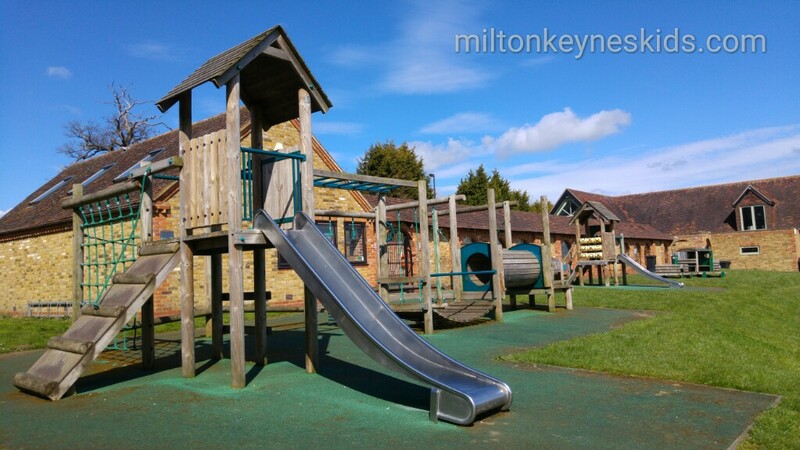 The bigger climbing frame also has a slide as well as a wobbly bridge and some good ropes to climb too. It’s a good park if you have both toddlers and slightly bigger ones. It backs on to a big field so there’s lots of room to run around although it’s not fenced so you would have to be careful with tots. Unless you live in the village you will have to drive to get there. The best postcode is MK17 9DS. And if you want to visit Eversholt swimming pool it’s expected to re-open for the summer season at the end of May 2017. Looking for other good parks to visit? 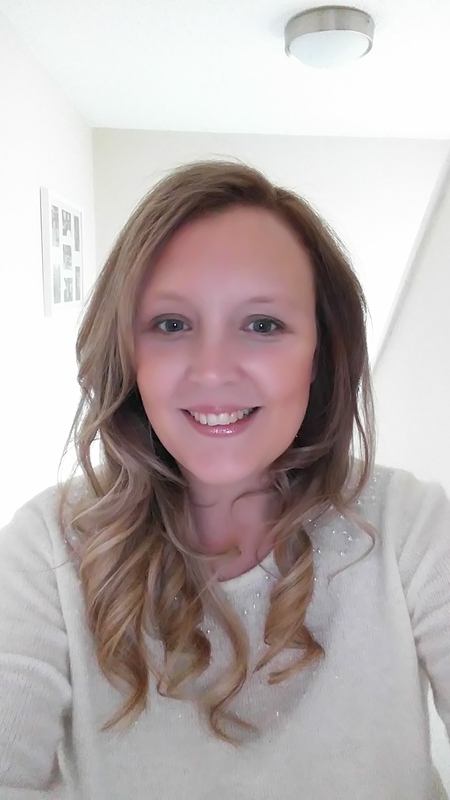 Have a look at the parks section of my blog. 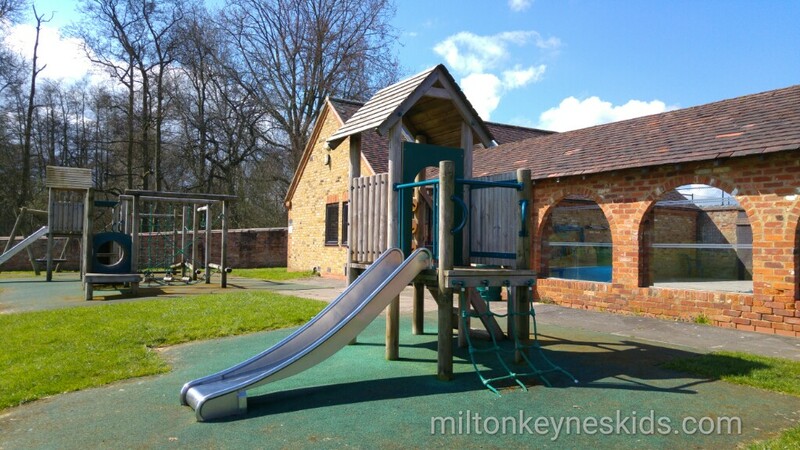 If you want to know which places are nearby have a look at the Milton Keynes Kids map to plan your next adventure.